A unique and contemporary hand lettered card designed to show your support through a difficult time. 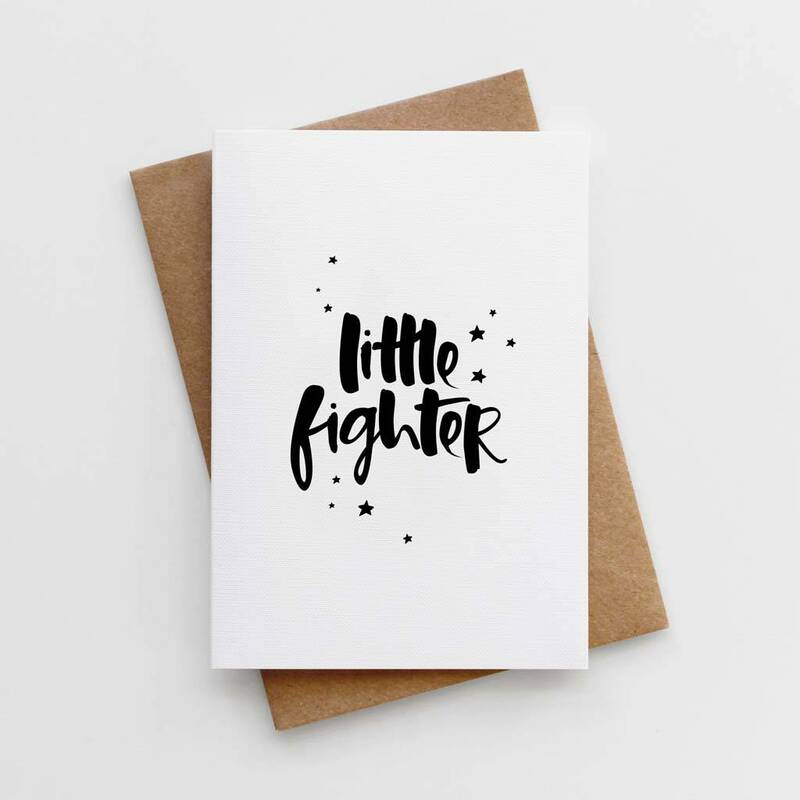 This 'Little Fighter' card was designed to for the little humans in our lives who are experiencing difficult times. Featuring our classic hand lettered typography, our cards are created with love and hand packed with care for that extra-special touch. Our unique, contemporary and eye catching designs are created by hand using a Japanese brush pen and rich black Indian ink and printed on to the finest and extra luxurious FSC certified 350sgm textured card and teamed with a recycled kraft envelope.